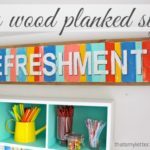 How to make a diy handpainted planked wood sign with any quote or words you love. 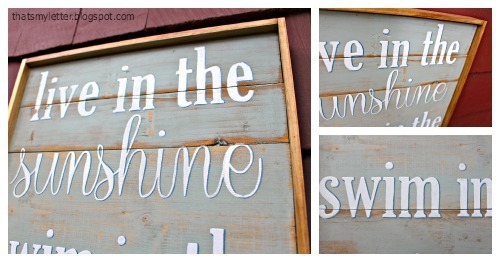 Take a wood background and handpaint letters, words or your favorite quote all without a fancy vinyl cutting machine. 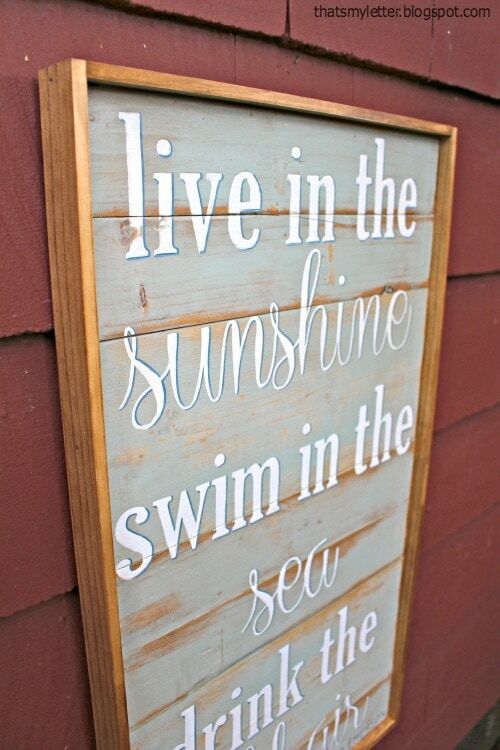 I made this wood planked sign for my in-laws beach house using a famous Ralph Waldo Emerson quote. 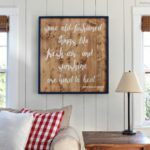 I’ll show you how you can create your own handpainted planked wood sign using your favorite quote down below. 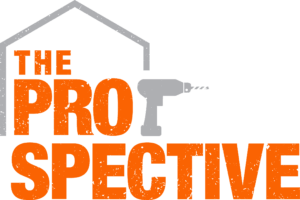 This is a great scrap wood project that benefits from all the imperfections like dents, knicks, chips, rough bits, knots – as long as the boards are somewhat flat then I say go ahead and use them! 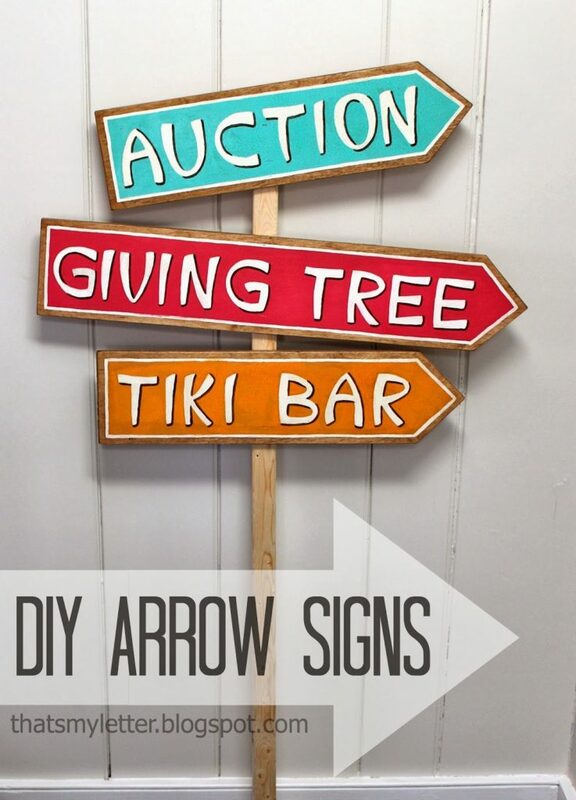 Step 1: Cut 3/4″ thick boards all the same length, nail and glue to 1/4″ plywood backing or use two pieces of narrow boards perpendicular to your sign boards on the back and attach. 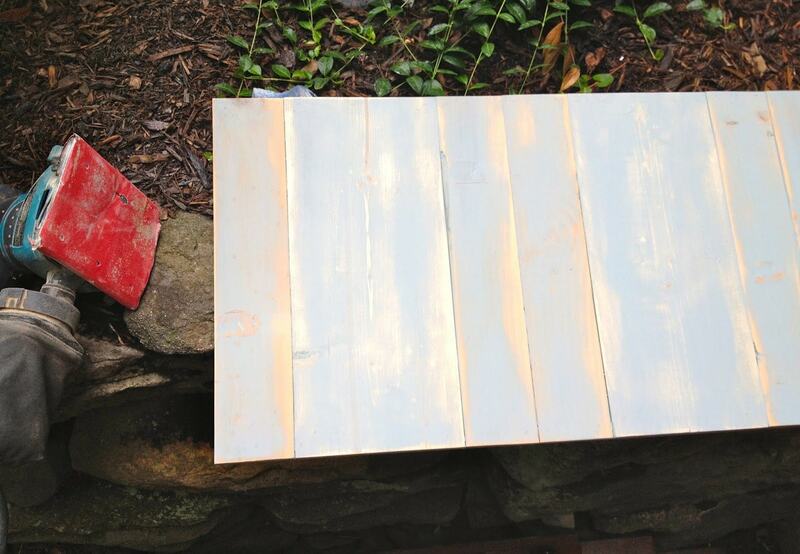 Step 2: Paint wood planks. I used a soft blue green. 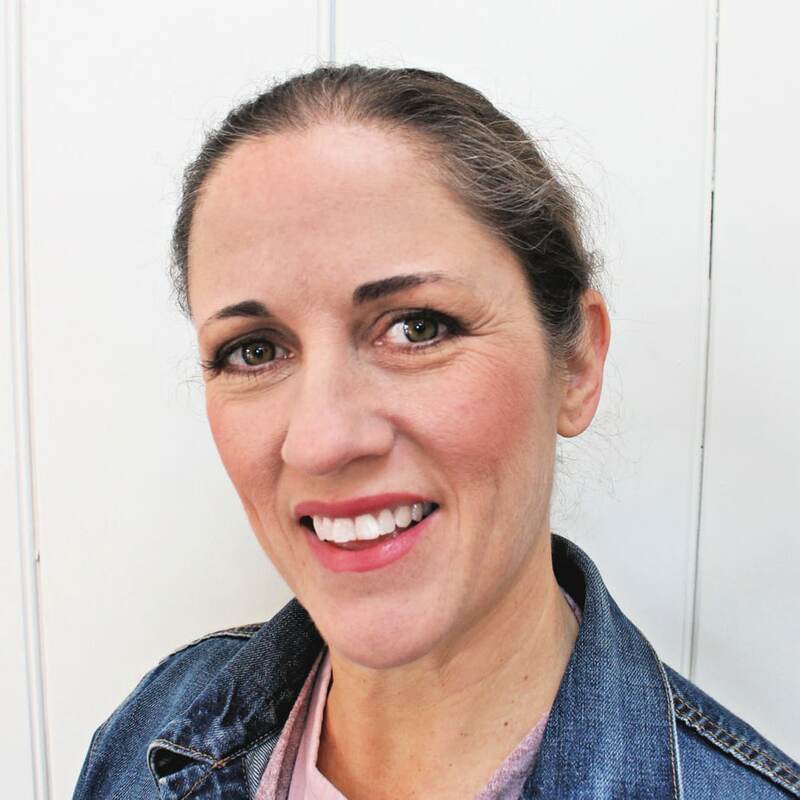 If you’re looking for something with more depth check out my friend Bethany at Reality Daydream post here on creating a rustic finish. 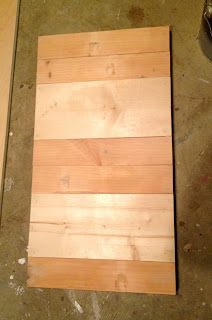 Step 3: Sand planks to distress. 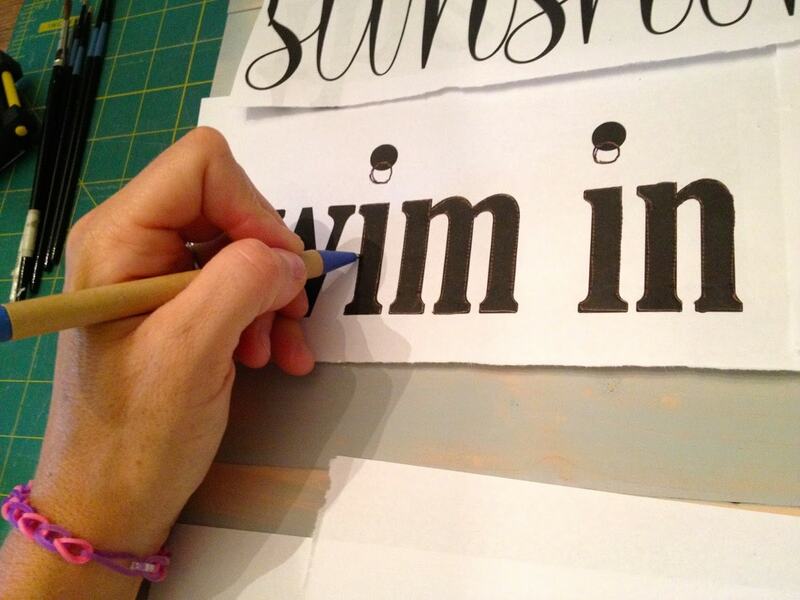 Step 4: Print out lettering to fit and layout on board. 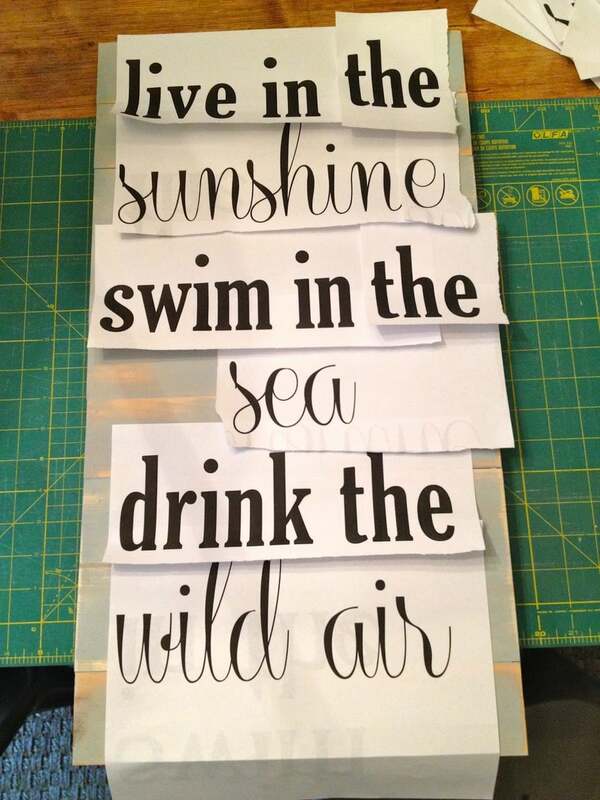 Play around with various fonts. 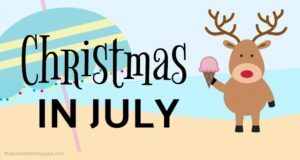 There are lots of free font sites out there plus the vast font styles already available in Word. It’s good to change up size and style to keep the viewer interested and engaged. Step 5: Trace lettering using heavy pressure with ballpoint pen. Step 6: The pen creates an indent in the wood. 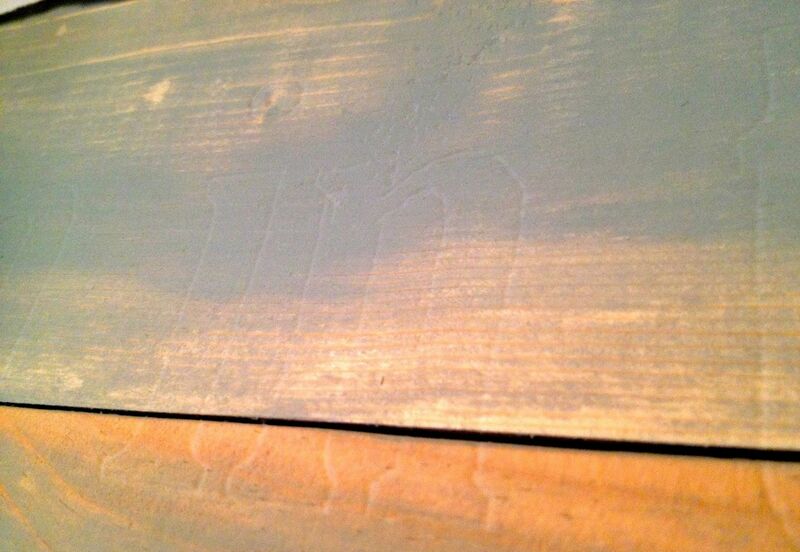 Step 7: Paint on and inside the indent. 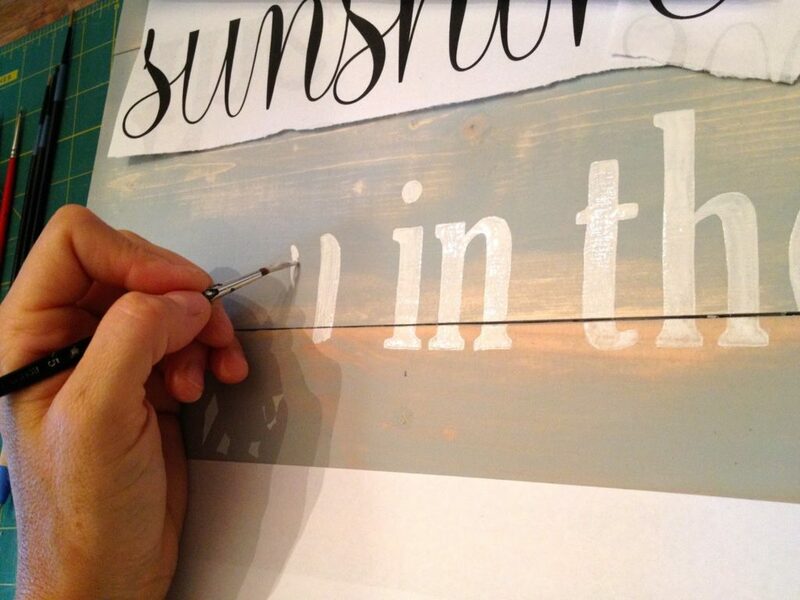 For added dimension paint a dark blue shadow down and to the right of each letter. 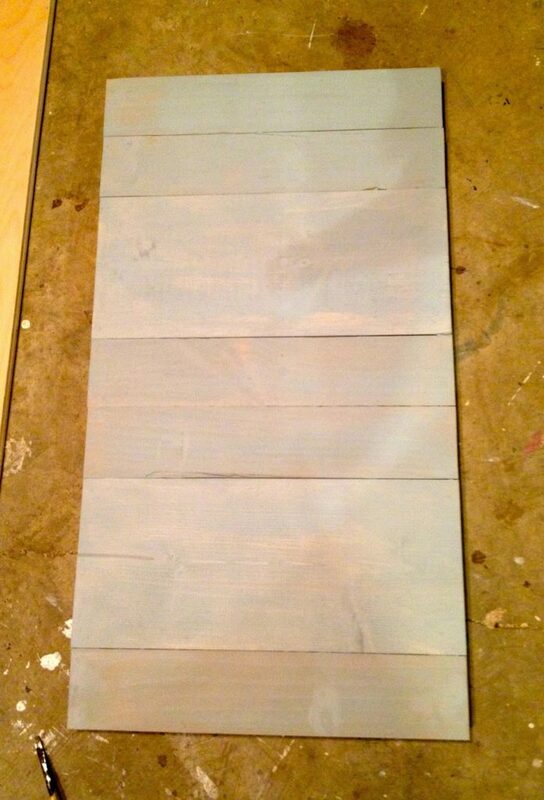 Once dry apply stain to enhance the distressed wood then seal with clear spray poly. 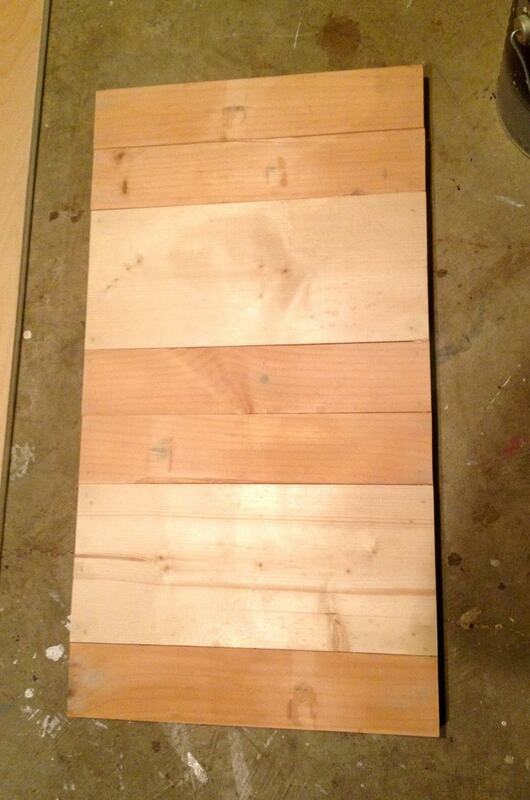 To make a frame cut 1/4″ thick flat lattice pieces to fit and stain then glue and nail into sides of planks. Beautiful! 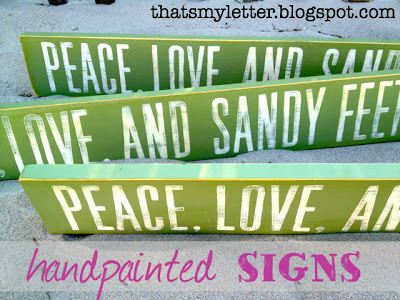 You are seriously so good with a paint brush when painting letters especially. 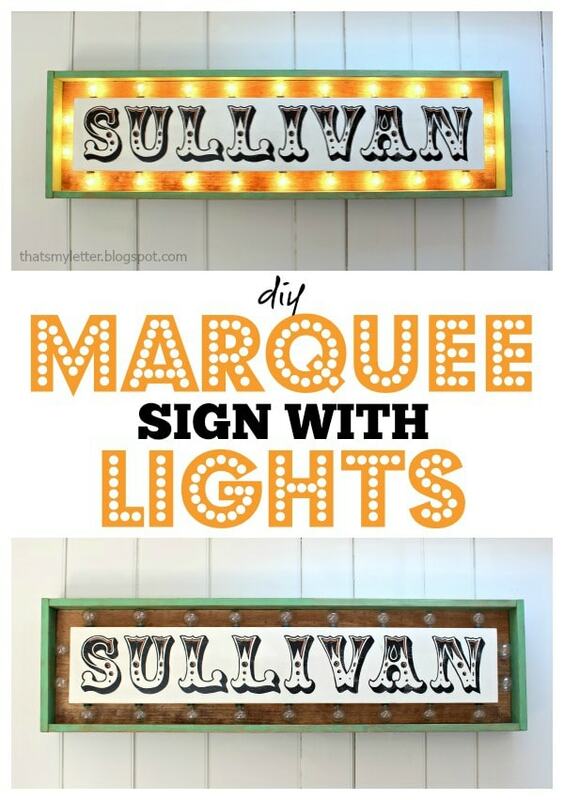 I am going to have to give this a try soon. Love this. What fonts were u using? 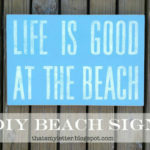 I LOVE these kinds of signs but I never thought that I’d be able to make one. You make it look so easy!!! 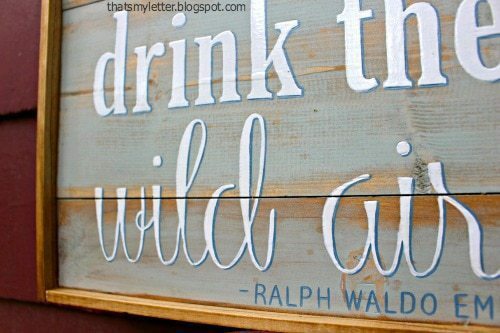 And I absolutely adore the saying on this one! There is a product called transfer paper. It comes in black, gRey, or white. 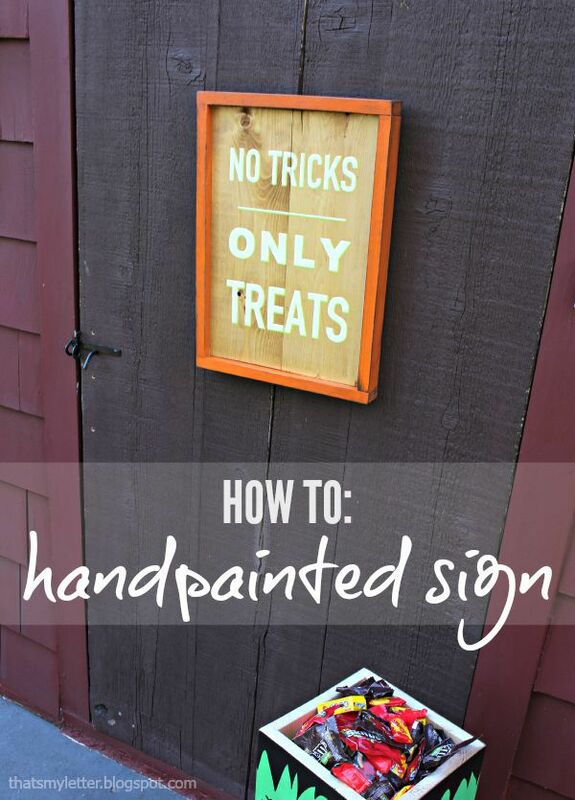 As a decorative artist for many years, I thought you might be interested in trying it. 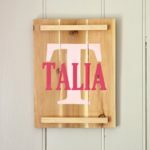 You place it between your saying and the wood, trace the letters as above and it leaves an outline of each letter. 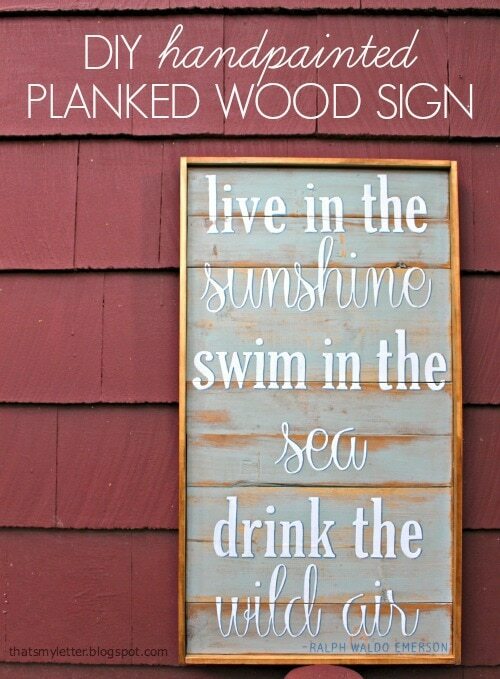 It might be better than etching the wood. Easier on the hands too. Just an idea. Love the saying., and thanks for sharing.